The creative minds at Cuff Daddy have raised the cufflink design bar by introducing Working Silver Watch Movement Steampunk Cufflinks. This pair of avant-garde cufflinks embeds a fully functioning watch on top of a rhodium silver mount that never wavers to provide support. A clear glass window protects the watch mechanism. Watch gears move in synch with the time, which gives you a conversation piece for an intimate dinner party or Saturday afternoon business luncheon. 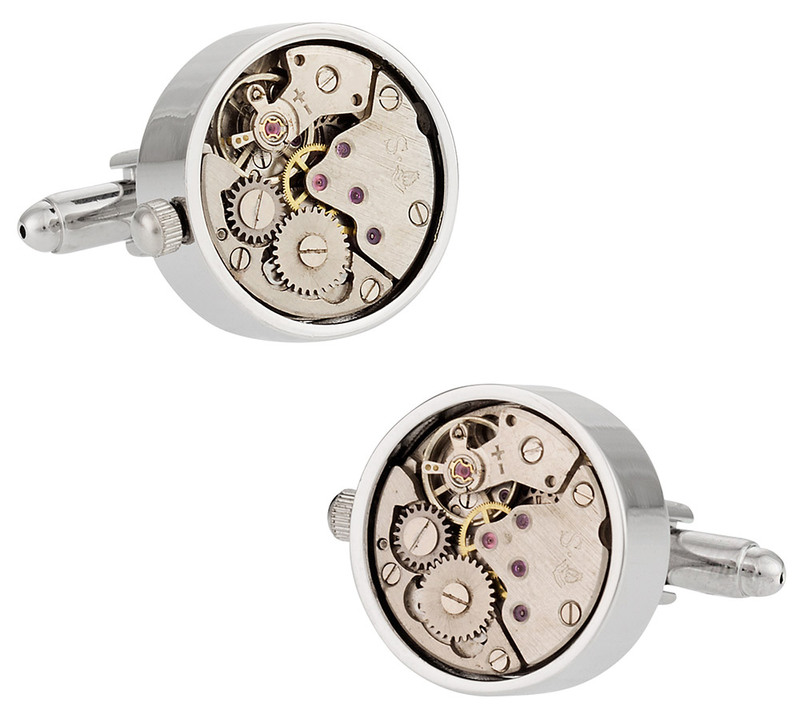 Fasten these cufflinks to a stylish dress shirt and keep the wristwatch at home! 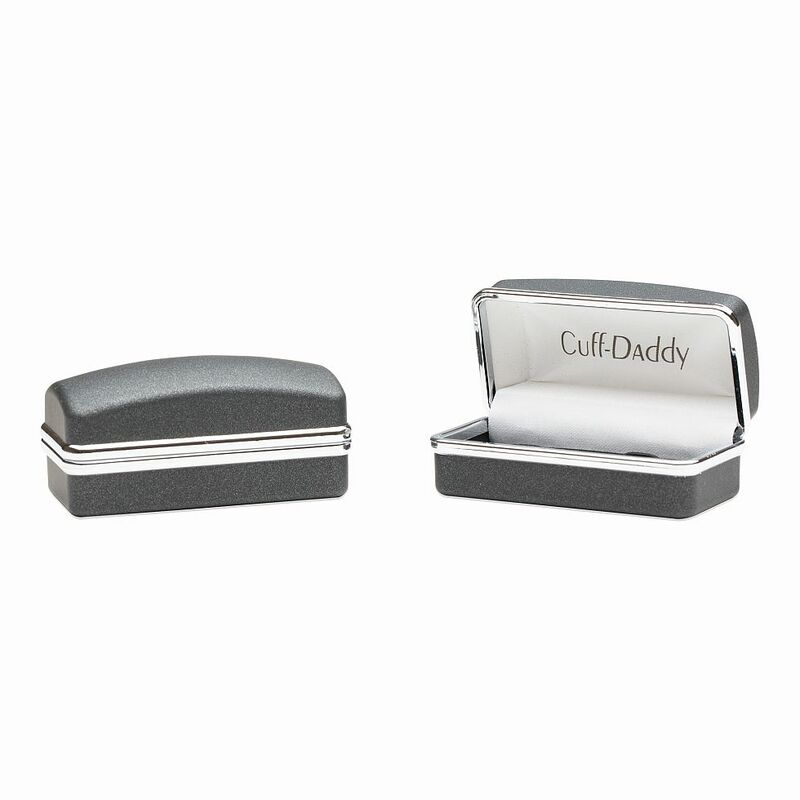 The Cuff Daddy warranty backs the performance of this cutting edge fashion accessory.